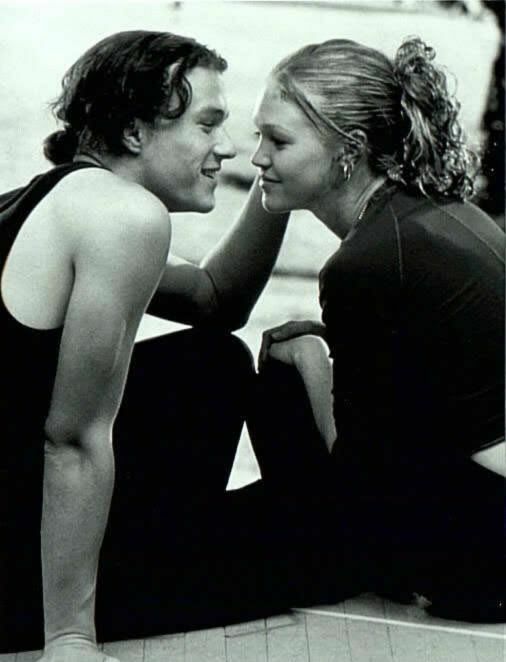 Kat, the protagonist (portrayed by Julia Stiles) in the film 10 Things I Hate About You, is not a likable character. Nor does she strive to be likable. It’s more the reverse with her; she’s intentionally rude, domineering, and opinionated. Since the film is based on The Taming of the Shrew, making her a bit of a tyrant is the main point of the story. And Kat comes through like a champ; she attacks life with her unbridled opposition. She never lets conventions, other people’s opinions or even rules stand in the way of what she wants. She speaks her mind, argues with her friends, questions her teachers and disagrees with her family. As a consequence of her no-holds-barred personality, she’s feared, avoided, disliked, and antagonized by everyone who knows her. One of my favorite scenes in the movie is when Kat must classify herself to her guidance counselor. Kat smiles at her, daring her to say it. Many of the writers I know are working their fingers to the bone trying to create characters that are the opposite of a Kat. They want to craft the quintessential book friend, someone so universally likable that every agent, editor and reader will want that character to walk off the page and join them for a cup of coffee. When I’m confronted with a protagonist like Kat, I’m conflicted. Shouldn’t I want to root for her? She is the heroine of the story and I do enjoy a character with a few rough edges. But shouldn’t I also dislike her (at least a little bit) for being so confrontational? Why do millions of us enjoy watching cynical, intimidating Kat in action? What makes this character work, when so many more likable characters don’t? Comic Relief: Kat delivers her insults in droll, clever and sarcastic bursts. The humorous, intellectual nature of her one-liners defuses some of the power of her cutting barbs and we’re always laughing with her, not at her. She Has a Supportive Backstory: Kat has deep, emotionally-charged reasons for most of her behaviors, reasons she chooses not to disclose until she’s ready. Characters in pain should show it, it’s scary if they don’t. Everything Kat does makes sense in the context of her character’s history. Her Goals Are Evident: Every character needs to want something and Kat wants to attend a prestigious university. However, her controlling father wants to thwart her plans. She’s willing to wage an all-out war with her father to achieve her objective. Our Own Expectations: We know how this story turns out, and that happy-ever-after ending makes us feel good. We mentally gloss over any negative emotions and rejoice that true love eventually conquers all. Expectation is a powerful tool, it’s also easier to accept annoying behavior if it’s predictable and fits the storyline perfectly. We Can Relate: We can all remember feeling like Kat, a smug, scared, pissed off teen. It often takes some kernel of empathy to help us connect with a prickly character. And it helps if we can understand the character’s choices and believe we would act the same way in a similar situation. Superior Intellect: Let face it, we value the truly brainy and we’ll often look away when they act like toddlers. This simple fact is the foundation of many unlikable characters. If you must create a character that embodies a number of negative traits, make sure they can calculate data with the speed of a super computer and it’s all good. Kat is brilliant, hard working, politically aware and a great student. It’s All About Balance: This film is a game of dysfunctional character bingo; we lose Kat’s actions in a sea of imperfect characters. This story is interwoven with too many conflicting motives, lies, and schemes and no one is playing fair or being honest. The Train Wreck Effect: Sometimes you just can’t look away from an impending disaster, seeing characters get the crushing defeat they so richly deserve can be the main reason we stick around till the end. In this case Kat’s ego gets tattered, but she survives. However her antagonist, Joey, will go down hard. We Learn to Flip Our Perceptions: Kat is a character with a large number of negative traits, but those same traits become positive in a fresh context. It’s stubbornness when Kat battles someone, and determination and resilience when she joins their cause. They Included A Softener: Kat isn’t bad, she’s smart and sassy. She truly loves her family and when it comes down to protecting her own secrets or helping her sister, she chooses her family. She also learns forgiveness and to focus on others for their good qualities, instead of dwelling on their negative ones. Granted, what makes a character likable for me, might make them unlikable to another person and creating potentially unlikable characters isn’t the safe choice. But it’s taken me a while to realize I’m not very interested in safe. I want twisted, confused, conflicted characters and I think Kat’s a great example of how to do it effectively. I don’t want to have coffee with Kat or become her BFF, but she’s a challenging character. I could have hated Kat, but I didn’t, and that’s because for the most part, she was written just right. For more WriteOnSisters posts by Robin click here. Or more posts about character development click here. Take the Quiz: Which character are you from 10 Things I Hate About You? This is a great post – and I almost missed it. I haven’t seen the movie, was put off by the title. Had no idea it was based on The Taming of the Shrew. Now I’ll look for it. Thanks Sandy. I’m glad you liked the post.